Society of Minnesota Sculptors reserves the right to approve all submitted graphics and text in the gallery. "Freestyle," completed in 2010, depicts a swimmer doing the forward crawl. 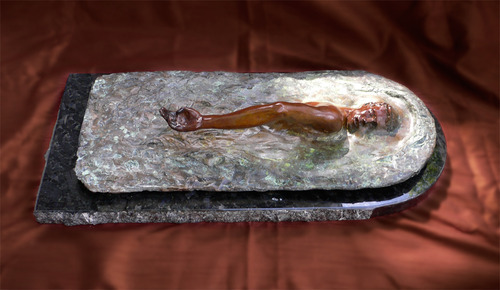 It is a tribute to Joe Brown (1909-1985), a sculptor and instructor from Princeton, who did a series of bronze sculptures of swimmers doing different strokes.